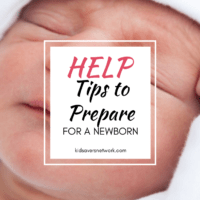 When you first come home with your newborn, it is normal for things to be a little hectic and overwhelming at times. 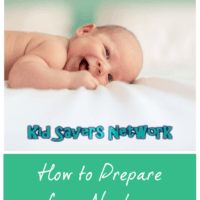 If it’s your first baby, it’s only natural to experience a lot of nerves! Thankfully, there are a few things that can really help the transition from hospital to home go as smoothly as possible. 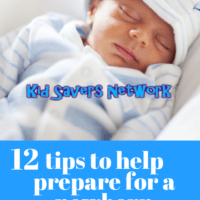 Here are 12 tips to help prepare for a newborn baby. 9. Prepare your baby birth announcement in advance. Call your local hospitals to see if they offer any maternity tours or prenatal classes. It’s also a good idea to research and interview possible candidates for your baby’s pediatrician before your newborn comes. Some hospitals will automatically choose a pediatrician for your newborn if you have not selected one in advance. Of course, recommendations from friends and relatives really help with this. Before deciding on the hospital, call your insurance carrier to make sure that the hospital of your choice is covered. (To be extra cautious, call your insurance carrier near your due date just to reconfirm that the hospital and/or doctor of your choice are still covered. Sometimes last minute coverage/policy changes can occur and you don’t want to be stuck footing the entire bill). Be sure to pre-register with the hospital according to your due date so that they can anticipate your stay. It’s not fun to fill out paperwork and answer lots of questions while you’re in pain from your contractions! 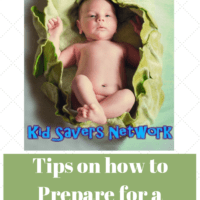 Also, check with your insurance carrier regarding your policy coverage for pediatric-related medical costs such as doctor visits, urgent care visits, etc. You may want to make sure that the doctor who is delivering your baby and the pediatrician of your choice are covered by your insurance carrier. Also, keep in mind that most insurance companies require you to report a new addition to your family/insurance within a given amount of time. You don’t want to miss this deadline since you may not be able to enroll your baby until the next enrollment period. Newborns require lots of doctor visits; you want to make this call to the insurance company a priority. Buy and install the infant car seat ahead of time in the car you’ll be taking to the hospital. Make sure it’s properly installed. 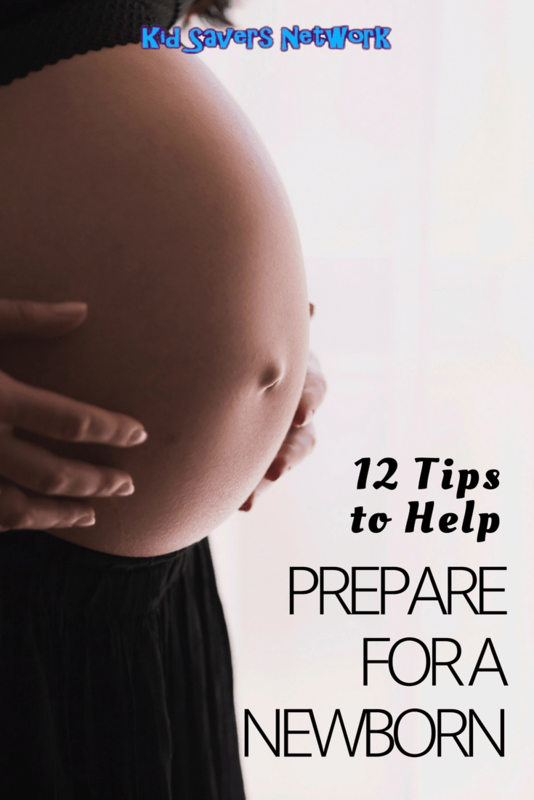 Have this done a month or two before your due date—you just never know when the baby’s going to come. To be sure that your car seat is installed correctly, check with your state’s highway patrol stations to see if they provide such a service or can refer you to other organizations. There should be events in your local area where parents are provided information on proper car seat installation, car safety and/or free inspections. Check with your state’s highway patrol unit, your local hospital or baby stores. We brought our crib because it looked cute, rocked and played songs. Turns out I was in so much pain from the CS that I couldn’t lift my little one out of it. My advice is to research cribs that have a “low profile” so things will be much more comfortable and convenient. This one may take some time so you want to get started early. Even though your newborn won’t be able to turn on the faucet or open cabinets just yet, there are still many things in a home that can be a potential danger to a newborn that you may not be aware of. It’s also good to take care of this now because they just grow up so darn fast and before you know it, they will be crawling everywhere or running around the house. I recommend the U.S. Consumer Product Safety Commission’s article on child-proofing your home. Watch a Lamaze DVD or read through some materials on giving birth naturally. You never know—your labor can move fast and you may not have enough time to get the epidural you were counting on. It’s good to know anything that might help you in case you give birth drug-free. If you are planning to give birth without an epidural, it may be worthwhile to take a Lamaze class or read up on other methods of pain management for your labor and delivery. Talk to other women who have gone through it to get a sense of what you to expect. It’s always good to be prepared. Having a well-sorted hospital bag will help make your time at the hospital more comfortable and less stressful. All it takes is a few minutes. Stamping and addressing the envelopes ahead of time can save you a lot of time and trouble. It’ll be one less thing to worry about. If your due date happens to fall around April or Christmas, be sure to do your taxes or Christmas shopping ahead of time. 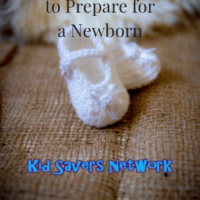 Don’t bank on having enough time to take care of these things once the baby’s here. A run to cost-co to stock up on thins like toilet paper, kleenex and baby wipes (you can never have enough…) is a good idea, too. If you don’t have much help and can’t stand a messy house, you may want to arrange for a cleaner to help when the baby comes. And if you can’t stand the sight of dirty dishes piling up in your sink and don’t use a dishwasher, you can buy some disposable utensils, plates, and cups for the first few weeks. It may save your sanity. Buy or make and freeze some food such as lasagna, frozen green beans, meatballs, etc. In the first few days home, even running out to get take-out can be a real hassle. If this option doesn’t sound appetizing, you can even collect to-go menus from your favorite local eateries so that you will have easy access to all your ordering options along with phone numbers.